Army Sergeant First Class Randolph Nantz joined the military at age 33, two weeks after September 11, 2001, because he felt a strong sense of duty, and knew it was his last chance to serve his country before he reached the maximum age limit for Army enlisted recruits at 35. But a late start to his military service did not slow him down. 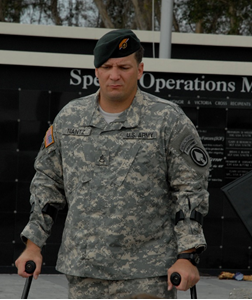 The father of two young children, Sergeant Nantz quickly advanced through the ranks, eventually achieving Sergeant First Class, and in 2006, was selected as a Green Beret Communications Sergeant. He served eleven years in the military before medically retiring in November 2012. In December of 2006, Sergeant Nantz and his team were on a routine reconnaissance mission of an area in Iraq they were planning to visit two days later. Shortly after arriving, Sergeant Nantz’s Humvee was struck by an explosively formed projectile. Sergeant Nantz was hit, causing extensive damage to his left and right buttocks with additional damage to his left hip. The projectile ruptured his vehicle’s fuel tank, dousing Sergeant Nantz and causing him to catch fire. He was engulfed in flames as he was removed from the flaming Humvee by his team. With their help, he had managed to put the fire out and proceed to the nearby Green Zone for safety. Sergeant Nantz spent five days in Iraq after the incident due to inclement weather, during which he underwent acouple of surgeries. But it was just the beginning. Upon arrival to the San Antonio Military Medical Center, he spent 35 days in the ICU burn unit, and underwent additional surgeries. 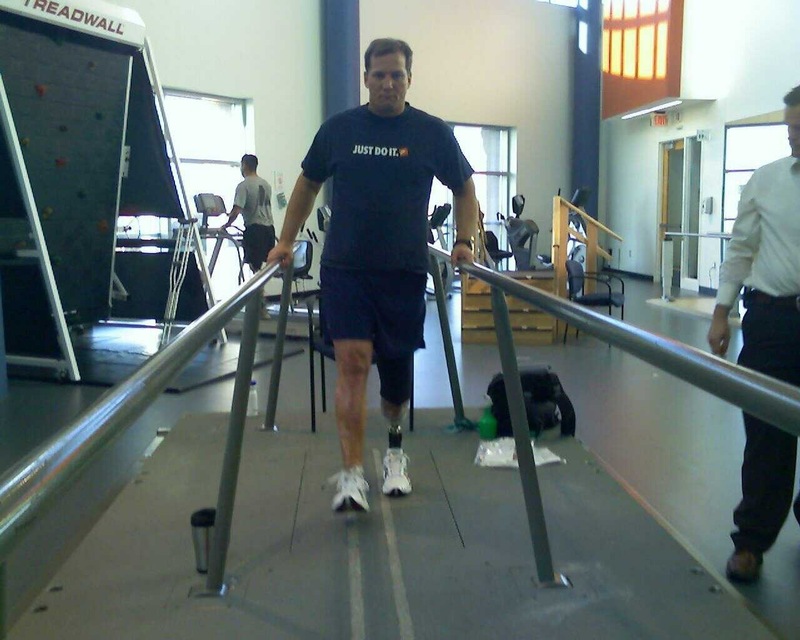 It was February of 2007 when Sergeant Nantz finally left the hospital. The next six months were devoted to extensive rehabilitation for his injuries. He suffered third degree burns throughout his body and severe nerve damage in both of his legs. After the surgeries,Sergeant Nantz was still unable to walk normally from extensive daily pain in his left foot, which led to an amputation of his left leg below the knee 19 months later. Even after the amputation, more complications arose that resulted in three separate amputations of the same leg. To this day, Sergeant Nantz struggles with the residual limb. For his service to his country, Sergeant Nantz received the Purple Heart, the Army Commendation Medal (3x), the Army Achievement Medal, and the Defense Meritorious Service Medal. 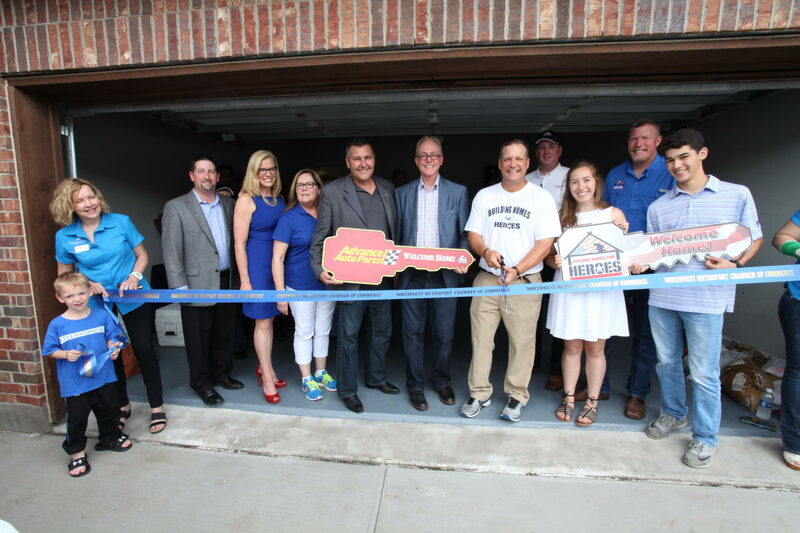 Sergeant Nantz and his children received a mortgage-free home in Texas.